Find Real Estate in Alabama and Florida with Malcolm Bond THE Buyer Agent! 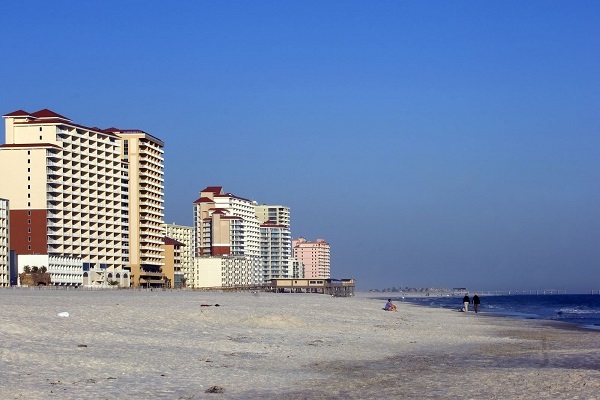 Gulf Shores AL is a coastal resort destination located along the Alabama Gulf Coast. A growing community, Gulf Shores AL has a population of roughly 11,000 people – the permanent population since 2000 has grown more than 117%! Located just 33 miles west of Pensacola FL, 54 miles south of Mobile AL, 197 miles east of New Orleans LA and 194 miles south of Montgomery AL, Gulf Shores AL is conveniently located to several states and is largely known as a tourist destination. 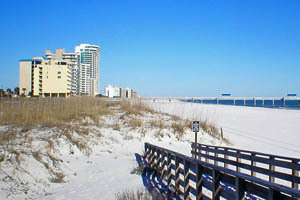 With more than 32 miles of unique beachfront, Gulf Shores AL is considered part of the Emerald Coast – dubbed that, in part, because of its white sand and emerald blue-green water. In 2006, USA Today named Gulf Shores among the top five “hidden, affordable beach destinations” in the nation. It’s estimated that more than 5 million visitors come to Gulf Shores AL each year, responsible for pumping nearly $3 billion into the local area economy. When it comes to things to see and do in Gulf Shores AL, the list is as long as the time you have to pursue your various interests. The area’s natural beauty is – in and of itself – a highlight worth taking in. The area contains many miles of scenic walking trails throughout the local state parks. In addition, if you’re a history aficionado you’ll love exploring attractions like Fort Morgan, the site of the Battle of Mobile Bay during the Civil War and the popular Gulf Shores Museum. Combine all that with a variety of great seafood and other restaurants – along with more than a dozen championship golf courses and you’ll need to make more than one return trip to enjoy it all. As an Exclusive Buyer’s Agent, Malcolm Bond offers a wide range of services to make purchasing your dream home a fun, exciting, and hassle-free experience. From home viewings to helping you negotiate a better deal, Malcolm works hard to help you find and acquire the perfect property, specializing in the Gulf Shores real estate market. Gulf Shores is considered to be a hidden gem in the Alabama real estate market with its gorgeous beaches, white sand and an array of affordable properties for sale. Apart from a selection of waterfront homes, the Gulf Shores real estate market also includes homes within golf course communities such as The Peninsula, Craft Farms, and Kiva Dunes. If you're dreaming of owning one of the many Gulf Shores condos for sale, check out The Lighthouse and The Beach Club resorts. The Gulf Shores real estate market is a great investment for families and retirees. The estimated median house or condo value in Gulf Shores AL is approximately $250,000 – a very affordable price considering the proximity to the Gulf Coast and the prime real estate it has to offer. As an exclusive buyer agent, Malcolm Bond has years of experience in the Orange Beach real estate market helping buyers find their dream property at the right price. Located along the Gulf of Mexico, Orange Beach AL is the easternmost waterfront community on Alabama’s popular Gulf Coast. With a total area of slightly less than 16 square miles. Orange Beach is a small package with lots to offer visitors and prospective home purchasers alike. When searching for Orange Beach homes for sale, there is a diverse selection of property offerings to choose from, ranging from modest condos and single family homes, through million dollar mansions to luxurious waterfront condominiums. Orange Beach properties for sale range from modest condos and single family homes, through million dollar mansions to luxurious waterfront condominiums. Some of the most popular condo resorts include Caribe Resort, Admirals Quarters, Seachase, and Phoenix West. Turquoise Place in Orange Beach offers the most luxurious condos for sale featuring some spectacular views of the Gulf and an impressive number of amenities. Orange Beach is located in Baldwin County, Alabama and sports a population of roughly 6,000 people, an increase of more than 51% over the census data from 2000. Orange Beach is a unique beachfront community and and is a neighbor to Gulf Shores AL and Perdido Bay AL, bordering along the Gulf of Mexico extending from the Florida Panhandle. Festivals are common in Orange Beach including the annual family-friendly Mardi-Gras Parade, the Southern Breeze Wine & Culinary Festival, Waterfront Festival of Art, and the Orange Beach Seafood Festival. Scuba divers come from all over the world to explore the largest artificial reef in the world created by the sinking of the 888 foot, USS Oriskany Aircraft Carrier. This is an attraction that generates about $3.6 million per year in tourism revenue. There are plenty of other attractions and amusements such as Adventure Island, the Alabama Gulf Coast Zoo, Waterville USA, The Wharf and the Orange Beach Golf Center. In addition, the community is a popular destination for hundreds of sports tourism events from all over the southeastern United States and beyond. Orange Beach homes come in various styles and locations, from single family homes inland, and condominiums on the waterfront. There are entire neighborhoods of waterfront condominiums, or single family homes backing onto golf courses with amenities including an amphitheater featuring live concerts, golf club, marina, private beach club, fishing outfitters, pool, and more! 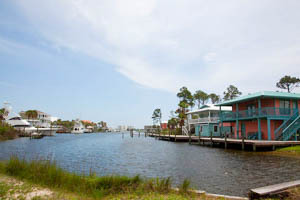 Orange Beach beach homes provide the ultimate in waterfront living. Many of which include the added convenience of a boat slip and dock. The average list price of an Orange Beach AL condo is roughly $560,000 – however, there are a number of units on the market that range in price from $120,000 to as high as $4 million. The median household income in Orange Beach is approximately $60,000 and the average value of an owner-occupied single family residence is slightly over $250,000. This makes buying residential real estate in Orange Beach AL very affordable. An interesting – but not unusual – fact about a popular tourist destination like Orange Beach, AL is that roughly 14% of Orange Beach homes are owned. 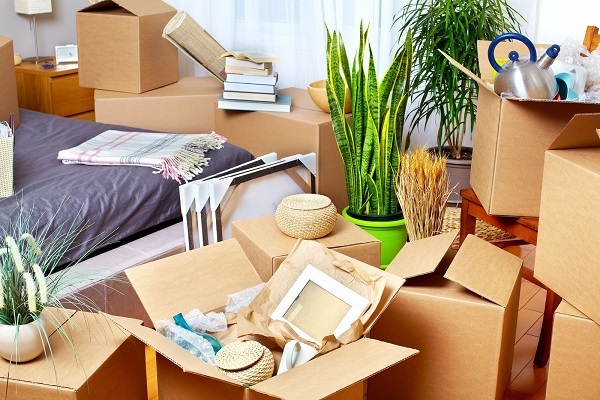 Approximately 7% of the homes are rented and roughly 79% are vacant, as they are second homes or vacation rentals. Found on a thin strip of beautiful land on Florida’s westernmost edge is Perdido Key. This vacation paradise is located to the west of Pensacola FL and to the east of Gulf Shores AL and Orange Beach AL. The Travel Channel once featured Period Key as one of the 20 most beautiful beaches in the entire U.S.
Like its sister towns, Perdido Key boasts sugar white sands and crystal water. Perdido is the Spanish word for “lost island, “ and many visitors to this area agree that the highly-regarded state parks are worth the trip alone – including Period Key State Park, Big Lagoon State Park, and Johnson Beach at Gulf Islands National Seashore. In fact, 62% of the island is surrounded by wildlife reserves and protected state parks. As such, Perdido Key is one of the few undeveloped parts of the Florida panhandle. Visitors and locals both love the relaxed “island lifestyle” Perdido Key offers. The area is the perfect, unspoiled environment to enjoy a casual stroll along the beach or kayaking in the quiet parts of the Gulf of Mexico. Real estate offerings in the Perdido Key, FL area range from single family waterfront homes with private docks and water access, to condominiums with the convenience of community maintained amenities. No matter which you choose, you can rest assured your money has been well invested in a property which will bring joy to you and your loved ones as well as maintain its value for generations to come. If you’re in the market for world class beach front property at a reasonable price, minus the over-crowded and tourist littered beaches of other areas, Perdido Key is just the place for you. Although it covers a wide range, condo prices run from $80,000 to $3 million – a testament to the fact that when it comes to Peridido Key real estate, you can find just about anything to fit your budget. If you’re looking for a detached single-family residential home, you’ll find a variety of beach homes and other waterfront real estate in beautiful Peridido Key. The prices range from $300,000 to $1 million or more. Whether you are searching for that perfect first home, vacation property, land or investment in Perdido Key, Malcolm Bond, THE Buyer’s Agent, can help you find the perfect property just for you. With a population of only roughly 1,700 people, Elberta AL is located only 10 miles from the great beaches found along the Gulf Coast in Gulf Shores AL. Known for its spacious parks and new schools, real estate in Elberta is surprisingly affordable and ready for your review. Offering real estate choices ranging from sprawling waterfront houses on the beautiful Wolf Bay to those in other sought-after neighborhoods, Foley AL is just 8 miles north of the Gulf of Mexica and has a population of approximately 15,000 residents. Lillian AL is a small town of nearly 5,000 people located between Florida and Alabama. And, if it’s great views of Perdido Bay that attract you, you’ll want to check out the great waterfront homes available with private water access today! Rural Magnolia Springs is one of the most popular choices for people searching for real state in this part of the state. The median home value of a Magnolia Springs AL home is approximately $223,000 making it very affordable to live in this very desirable part of the Gulf Coast. Ono Island AL is a barrier island just over 5 miles long located at the mouth of Perdido Bay. With deep water access and within easy reach of the Gulf of Mexico, Ono Island real estate is both in high demand and relatively affordable in price. Home prices start at $300,000 or more and can range up to $6 million or higher. Why Choose an Exclusive Buyer’s Agent? You may be asking yourself why you should choose an Exclusive Buyer’s Agent over a regular real estate agent? The answer to that question is relatively simple: unlike regular real estate agents, an Exclusive Buyer’s Agent only works with buyers. How does this work to your advantage? If you choose a real estate agent who also represents both buyers and sellers, you run the risk of dealing with someone who may be looking out for the best interests of a seller over what is best for you. This may possibly lead to you feeling forced to acquire condos for sale or a home for sale at a rate that is higher than what you are comfortable paying. There’s also the possibility that such an agent would limit you to the homes listed with his agency, rather than show you all the available homes in your chosen area, regardless of who listed the home. With an Exclusive Buyer’s Agent, you can be sure that we strictly work with buyers only. This assures you there are no hidden agendas or anything of the sort when you choose to work with us. Furthermore, you can be confident that every step we take with you, whether it’s convincing you there are better deals out there or it’s telling you that a particular price is a steal, is done in your best interests exclusively. We only want what’s best for you, and that’s exactly what you get when you choose us as your Exclusive Buyer’s Agent. Malcolm Bond is proud to be the top Exclusive Buyer’s Agent in Gulf Shores, Orange Beach, and Perdido Key. Practicing as an Exclusive Buyer’s Agent for over twenty years, Malcolm fully understands the challenges many buyers face when looking at real estate in the area. This insight has helped him lead countless clients to the perfect home in Gulf Shores or Orange Beach for their wants and needs. Malcolm’s experience proved invaluable when he decided to start his own Exclusive Buyer’s Agency. His experiences have served as a guiding light for everything he does, from the way he negotiates with sellers to the way he treats his clients. Furthermore, his status of being THE local Exclusive Buyer’s Agent provides him a fantastic feel for the pulse of the communities he handles. Please do not hesitate to discuss what you want and need in a home, from the desirability of the neighborhood to your love for morning jogs along the beach. We use these important details to help you find a home that offers you the best fit for your wants, needs, lifestyle, and budget. Unsure of which type of property suits you best? No problem! Simply set an appointment with us and we would be more than happy to sit down with you and discuss what you expect from a home in detail. Using this information, we can easily draft a shortlist of properties we believe will interest you the most. Malcolm does more than simply help you find the perfect home. He wants to make sure your entire buying experience is smooth and stress-free. This is why Malcolm Bond is with you every step of the way! From providing you with a shortlist of properties to acquiring and taking over the processing of documents during closing, This keeps you informed of every step taken, assuring you that everything is going according to how you expect. Similarly, our services do not end once your property has been turned over to you. We also offer after-sales services to make sure you truly love your new home and see if there is anything else we can do to help you. Since we’ve opened our doors back in 2002, we have become one of the most trusted names in Gulf Shores and Orange Beach, AL. Over the years, we have wowed clients and local communities with our attention to detail and our genuine dedication to a highly personalized experience for every single client. Your dream home doesn’t need to stay a "dream"! Regardless of the type of real estate property you are interested in, know you can always count on Malcolm Bond THE Buyer Agent to help you find a place you'd be proud to call "home". For any questions you may have for us, or if one of the condos for sale listed on our website has piqued your interest, please do not hesitate to get in touch. Kindly call us at 866-981-4378 to speak to an Exclusive Buyer’s Agent today. You may also send us a message through our Contact page and we’ll get back to you as quickly as possible. We look forward to helping you find your dream home.